We are very pleased to tell you that the post-production work for our upcoming documentary film Flying Paper is progressing very well. 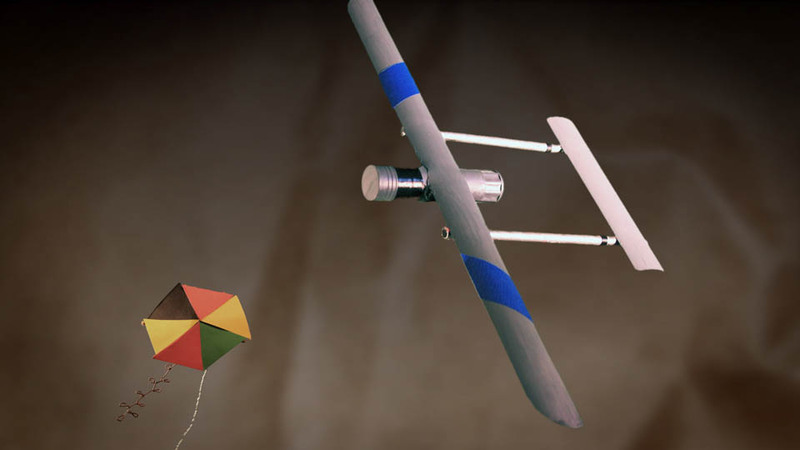 The film captures the uplifting story of Palestinian children in Gaza on a quest to shatter the Guinness World Record for the most kites ever flown. 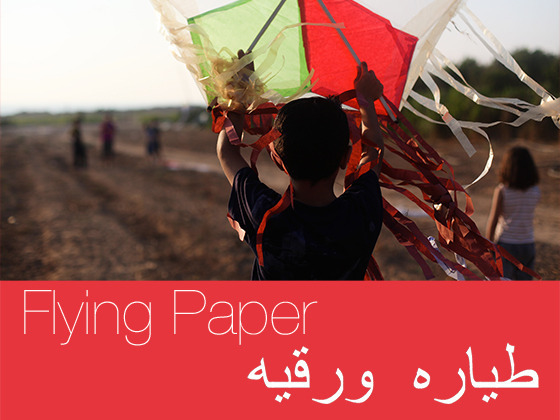 It showcases the creative resilience of children in Gaza making and flying kites despite the odds. This film has been nearly three years in the making through our collaborative efforts with the young filmmakers we trained in Gaza as part of our Voices Beyond Walls initiative, and we hope to have it completed by the end of this year with your support. Our talented team is currently working intensely in New York, London, Boston and Philadelphia, on final editing and post-production work including creating a new soundtrack, original music, animations and narrative sequences. 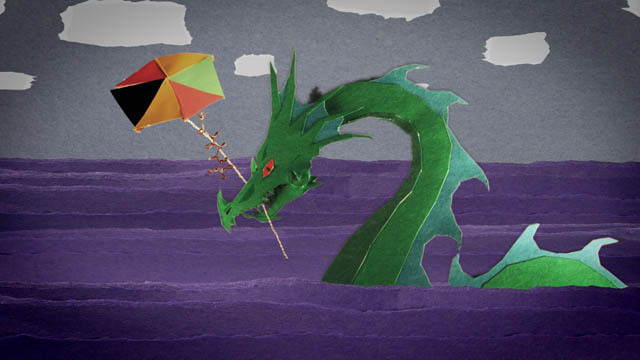 Some examples of scenes shown here with the hand-made animations produced by Daniel Nienhuis with our kite character encountering dragons and drones as imagined by children in Gaza. We hope to complete a new 60-min feature-length version for submission to the Berlin International Film Festival in time for their deadline of Oct 31st, 2012. Thereafter, our goal is to continue working on refining the film and music, while developing a strong publicity/marketing campaign, and exploring various international distribution channels for the film through early next year. We also continue to screen rough-cuts of the film with audiences worldwide to raise awareness of the dire situation in Gaza and the hope and resilience of the children despite their circumstances. In recent months we have done screenings and discussions in New York, Washington D.C., Buenos Aires, Guatemala, and Jerusalem. We believe the touching narratives and characters in our film humanize Palestinian children in Gaza in far more compelling ways than the news and mainstream media are able to do, which only enhances the advocacy efforts of Palestinians and the solidarity groups working on their behalf. With a professional team of talented filmmakers, animators, editors, sound engineers, and music composers working closely with us, we are confident that this will turn out to be an award-winning film on the international stage. To get there we need your continued support, both in raising awareness for this film and also in contributing to its full completion. While we have raised nearly $65,000 for the film’s production thus far through our successful Kickstarter campaign, grants including National Geographic, and private donors, we are still seeking to raise an additional $25,000 – $45,000 for film finishing funds and the crucial publicity and outreach work in coming months. We expect to have most of our work on this film completed by the end of the year (December 31st) as we continue submitting and screening it at various international film festivals. We are asking for your help to get the word out about this amazing film to interested donors, advocacy organizations and film/arts foundations. No contribution is too small, and we are delighted to have any in-kind and volunteer support as well. This is the most crucial phase of the film’s completion and we value your support to help us bring Flying Paper as a compelling cinematic work to audiences everywhere. Please feel free to circulate our letter (PDF version) to interested friends and organizations.